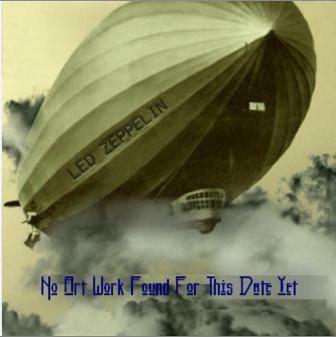 Led Zeppelin, a decibel-driven dirigible, screamed out a frenzied menu of hard rock to the delight of a large throng of turned-on admirers at the Metropolitan Sports Centre Sunday night. The Zeppelin, a British four-man group that specializes in hard, cerebral rock, made a din that made a North Stars crowd in full cry sound like a mewling baby. 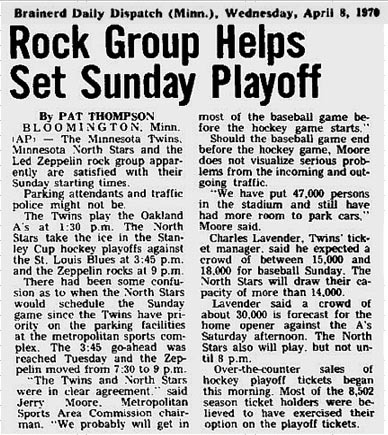 The rock concert was set back an hour and a half to accommodate the playoff activities of the local icemen. The crowd had to wait yet another 75 minutes for the performance while the assorted amplifiers were connected and an organ was persuaded to work. The result for the audience was a happy one as they seemed to get everything they wanted from the wailing rhythms that engulfed the farthest corner of the arena. As the lights dimmed and the musty, sweet aroma of burning “grass” lifted from all parts of the crowd, much of the throng swept out of the aisles closer to the loudspeakers that were set up on the ice sheet. 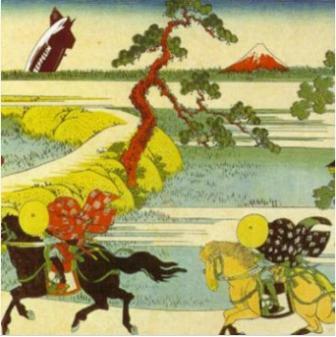 The Zeppelin presented offerings ranging from an opening number that was a screaming nightmare of psychedelic horror to a rippling guitar solo by lead guitarist, Jimmy Page. The lead vocalist, Robert Plant, shared his own nightmares with a faulty P.A. system with the audience and played an exuberant harmonica in a rock blues number entitled, “Bring It On Home”. Page’s solo was a thing of beauty and was suppressed in comparison to the tumult of many of the other numbers. At times, his guitar would display the Eastern beauty of a sitar and then suddenly he would be back in the Western rock idiom. Why the Zeppelin and other groups like, composed obviously of talented individuals, have to make music with every electronic stop pulled out is another question.